Some approval processes involve multiple steps, where an item has to be approved sequentially by people in different roles. In Flowfinity, you can use roles and states to control when someone in a particular role can see and approve a record. A company requires expenses over a certain amount to be approved by a Team Lead, as well as a Regional Manager. 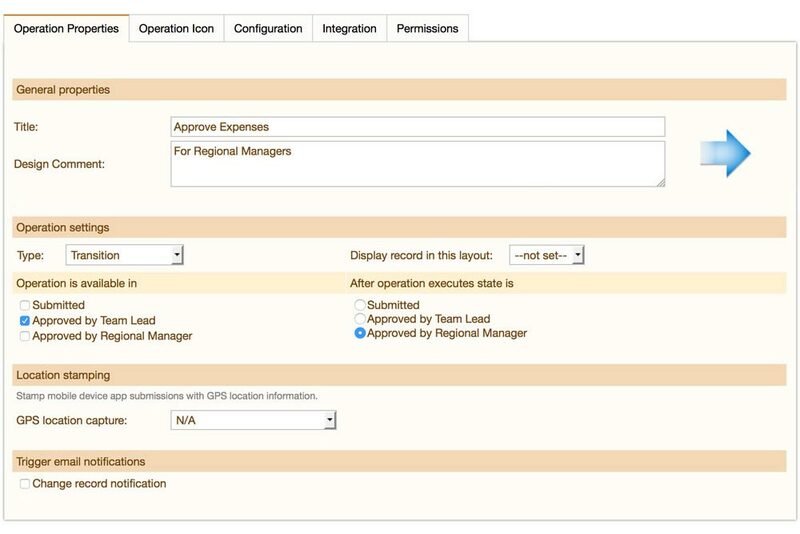 In this example, you will need to ensure that: all employees are assigned the 'Regular User' role, all Team Leads are assigned the 'Supervisor' role, all Regional Managers are assigned the 'Power User' role. 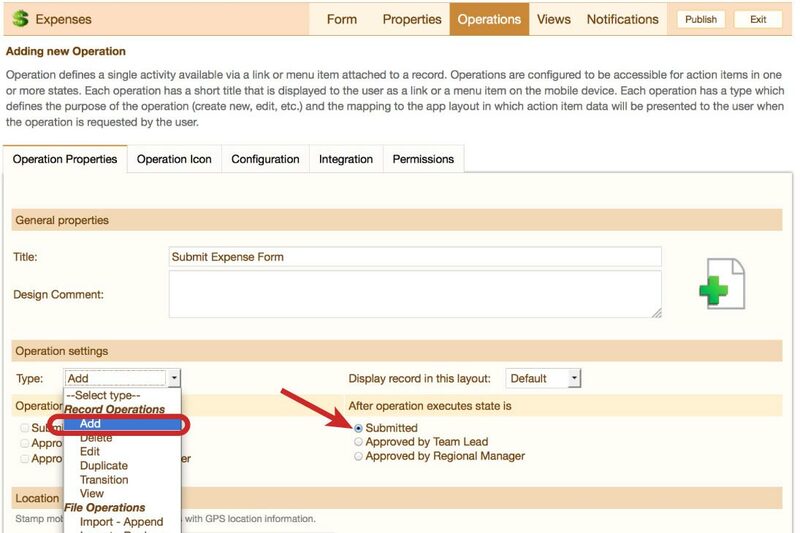 Please note that if you are using Flowfinity Actions Enterprise Edition, in addition to the default roles, you can create an unlimited number of custom roles such as 'Regional Manager', 'Team Lead', etc. In the Permissions tab, set the user permissions so that only users with the 'Supervisor' role are allowed to perform the operation. Click the 'Save operation' button. 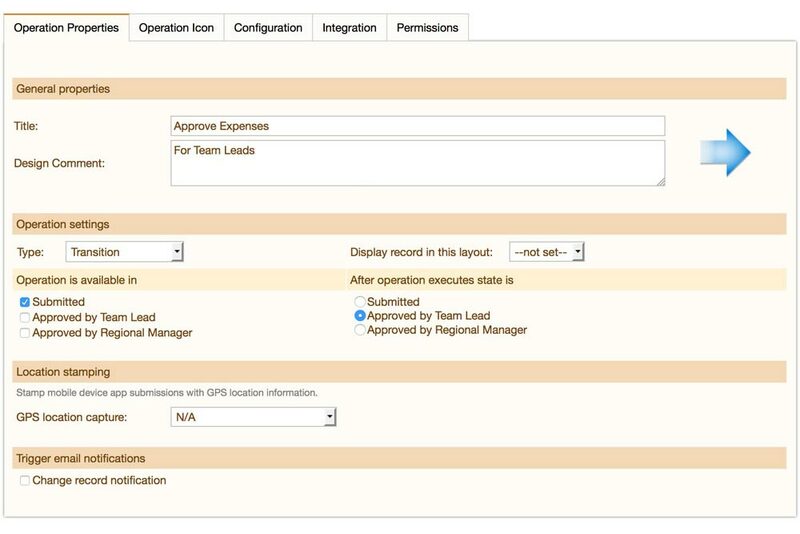 Check the appropriate checkboxes to make the operation available from the 'Approved by Team Lead' state, and transition to the 'Approved by Regional Manager' state. In the Permissions tab, set the user permissions so that only users with the 'Power User' role are allowed to perform the operation.